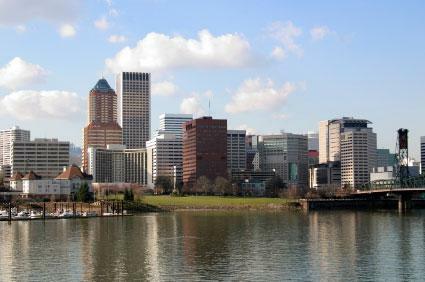 What a challenge to choose the best restaurants in Portland, Oregon! Like any young urban environment this city is home to a vast array of fabulous eateries. Those ranked among the best are considered the local tried and true, repeatedly ranking among the top restaurants in local publications including The Oregonian, Portland Monthly, Willamette Week and The Mercury. Many of them have also earned national attention. One can expect top-notch food, great service and an overall pleasurable experience when dining at any of these restaurants in Portland, Oregon. Enjoy a three-, four- or seven-course dinner at the crème de la crème of Italian restaurants. Located in the lively Belmont neighborhood, this fine restaurant has been voted Portland's top choice for food and service by Zagat Survey. The prices are definitely steep, but when money is no object and an extravagant celebration is in order, this restaurant offers a memorable experience in opulence. Noted among several national magazines including Food Arts, Bon Appetit, Food and Wine, and Palate, Mother's is the destination of choice for "better-than-authentic home-cooked meals." Owned by the head chef, Lisa Schroeder, this mother and grandmother has put together some of the best comfort foods around. This Nuevo Latino-style eatery is located in the heart of the Pearl District, Portland's newest upscale neighborhood. The atmosphere is sleek and flashy, the food vibrant, and the people beautiful. But don't let that scare you off! Recently voted best restaurant of the year by Willamette Week, this sweet spot offers some fabulous tapas and a vast selection of wine. Typhoon is one of the best restaurants in Portland because it offers reasonably priced food focused on freshness and flavor. Enjoy traditional Thai cuisine at two downtown locations: SW Broadway and Stark or NW Everett and 23rd. Typhoon has been raved about in Bon Appetit, Sunset Magazine and National Geographic's Traveler Magazine and has been voted Best Pad Thai in Portland by the Oregonian. A list of the best restaurants in Portland, Oregon wouldn't be complete without featuring a brewpub. And where else can you find a restaurant that is not only known for its award-winning beer but has a reputation for being family friendly? Bring the kids and let them sing along to live music while you kick back and enjoy a pint. Best seafood, best waterfront view, best brunch - this place hits multiple "best of" lists every year in Portland, Oregon. Salty's offers a friendly environment with fabulous food and great views of the Columbia River. Plan on Sunday brunch for your first visit. This all-you-can-eat meal offers a huge array of seafood, fresh fruits, waffles, pastries, and incredible biscuits and gravy. Arguably one of Portland's quirkiest restaurants, Montage is located under the Morrison Bridge in the Central Eastside industrial district. Waiters shout orders at the top of their lungs while patrons sit European style at long, communal tables. Try the Old Mac, a garlicky macaroni and white cheese dish offered for under $6, or enjoy frog leg linguini for $16. A great destination for all budgets and flavors, this Creole-style restaurant is a great stop for late night dining. A family-owned business, Hot Lips captures the local community spirit while offering exceptional organic food and drink that's a hit with people of all ages. Don't take our word for it; Citysearch, Willamette Week and the Oregonian have rated them the best pizza in town. If good old-fashioned mac 'n cheese and a messy pulled pork sandwich calls to you, head over to NE Portland and enjoy some of the finest down home fare in the city. Repeatedly ranked on Citysearch's Best Barbeque list, this quaint destination boasts hefty servings, home-cooked sides and fresh lemonade. Word on the street is that they have fabulous vegetarian offerings as well! If a neighborhood landmark and hanging with the locals is your scene, look no farther than this NW 23rd Avenue institution. Voted the best burger in town by Portland Citysearch, this place is as far from trendy and posh as it comes. With its dark wood walls and fairly shabby interior, Nob Hill is the perfect spot for catching a game, enjoying a cold beer and hanging with good company.